First image of a black hole in galaxy M-87. 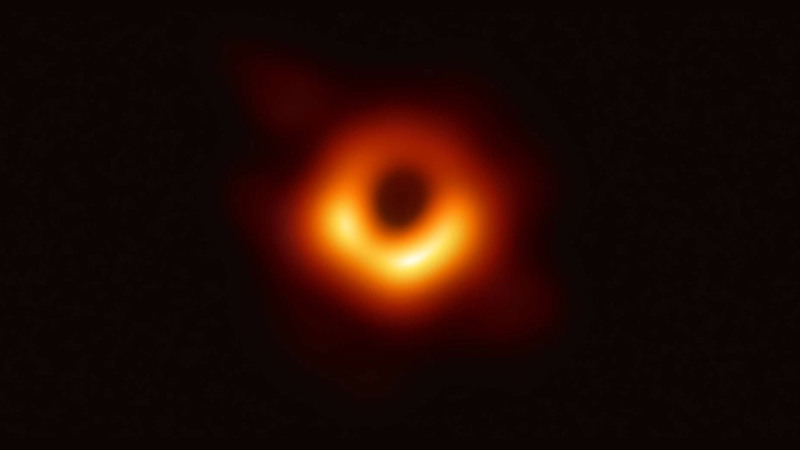 Astronomers at the University of Arizona are among scientists around the world celebrating a long-awaited achievement: grabbing a picture of a black hole in outer space. Black holes are galactic anomalies where gravity is so strong not even light can escape. UA astronomers worked on the team that developed the Event Horizon Telescope, a project that utilized radio telescopes around the world to create an Earth-sized virtual observatory. They aimed at a black hole in the center of galaxy M87, 55 million light years from Earth. Besides the UA, dozens of other institutions were involved in the project. Six scientific papers supporting the research were published at the same time the image was released to the public last week. UA astronomy professor Dan Marrone says his first reaction to the news that the combined data from the telescopes had yielded an accurate picture was a mixture of relief and satisfaction. "Last summer when we finally got to see those images, I don’t think I did anything the next day," he said. "I think I just laid on the beach with my kids and enjoyed it, because it felt really good that this had finally worked." UA astronomers tested the idea that information from radio telescopes in various locations could be combined to create one large data set. Over the span of almost 15 years, numerous students – from undergrads to post-doctoral researchers — have been involved in the achievement of producing the first black hole image. The astronomers will hold a public talk about the subject of black hole imaging Wednesday night. The event begins at 7:30 p.m. in Natural Resources Building 2 on the UA campus.